In front of the Saloon at State St. & A Ave. where Oswego Pharmacy is located. Ed Galliger and Ed Davis. Percy Mosier's Saloon, State & A. OA#141. 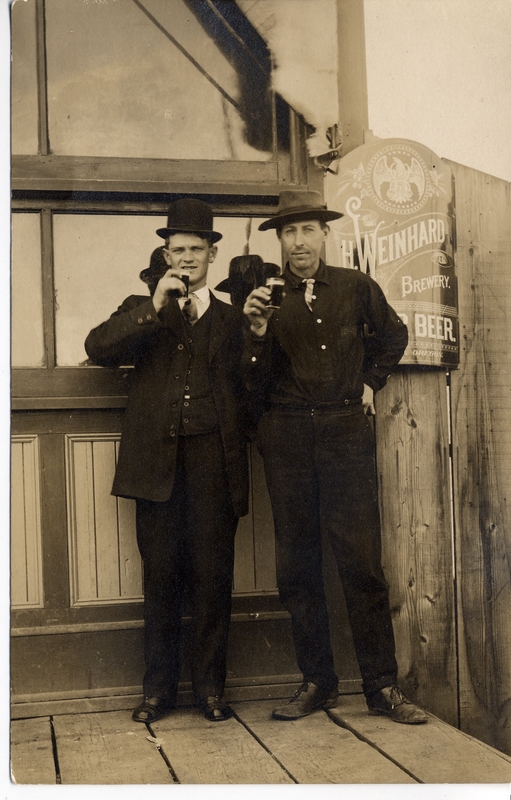 Description [on sign] H. Weinhard Brewery, beer ... Oregon. Transcription In front of the Saloon at State St. & A Ave. where Oswego Pharmacy is located. Ed Galliger and Ed Davis. Percy Mosier's Saloon, State & A. OA#141.